events after the fact. The general consensus is that most worthy Prophecies for study or consideration, are either based on Visions, or Audible Words heard from a Holy Spirit. I have sent many to Anne and Carlo to be used for Teaching Purposes, yet are not to prophecy doom and gloom. The future is not yet written. In the distant past those such as Prophets of The Old Testament, documented prophecies to please the Kings they were attached to, and each prophecy could be made to fit that which the prophet wanted to bring into play. Often they were highly embellished and filled with intense, confusing images. Not all of these prophecies came from a Holy Place. In order for a Prophecy to be worthy, it needs to have little confusion of what is being seen. To be clear and concise, with a time frame, and known location. If you see -for example- an eruption of an active volcano, it is good to pay attention to determine if more details have been Presented. Once Anne was sent a flash Vision of a bomb exploding in the distance, which she could view from a location where she stood on a high rise terrace. There was no time or location, thus this is a Test of a Prophet. 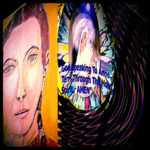 Anne link to our Prophecy Study Area, and also to Carlo's Gospel. Why did I Manifest with My Sparkling light pulsating in rainbow colors, just to Anne's right? I Wanted her to place this subject before our readers, once again, for so many believe in these bogus areas of |The Holy Bible. The world is fraught with injustice, beliefs based on lies, and turmoil is everywhere. It's time to bring about a good future for everyone, and you do not need a prophecy to do it. Do not hang on to religious differences and hatred of one another, just because I Chose to Make humankind diverse and of many colors. The Tower of Babel no longer exists, work together, share your languages, and build bridges not walls. The idea presented this past week was a good one. Make a unification park, a celebratory, historical place to extend long the border between Mexico and The United States of America, which would teach and celebrate their perspective cultures. Here there would be understanding and a chance to learn Spanish or English.